Happy Birthday to Willie Feero born on this day, August 31, 1883 in Maine. The family came to Skagway from Auburn, Maine via Tacoma arriving on October 19, 1897. His father, John Eleanor or “Sandy” Feero worked as a packer until he froze to death in December of 1898 on the Chilkoot Trail. Willie and his mother, twin sisters, and brother stayed in Skagway. 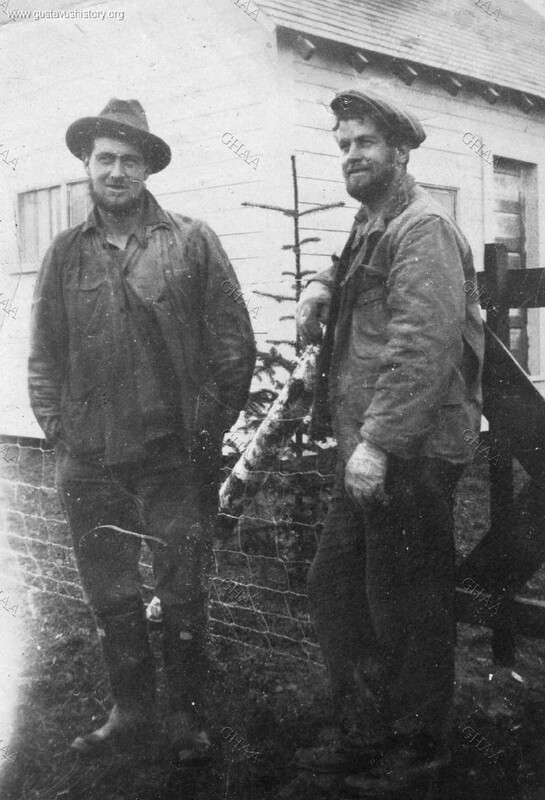 Willie worked and lived in Douglas and Skagway until his death in 1950. 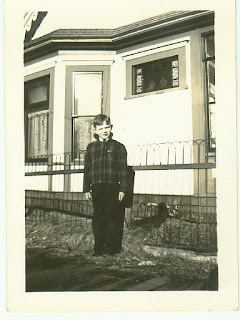 During that time he married, had a family and worked as a White Pass engineer/fireman and a carpenter. There are descendants in Skagway today who I am sure would have better stories than mine. Here is a picture of his son John taken in front of their house in Douglas about 1935. 1900 census;1915 directory; WWI registration; Skagway death record; Pennington. Charlie Parker was born on this day, August 30, 1897 in Oregon. He is famous for being the youngest person to cross the Chilkoot Trail in that era of the Gold Rush. I would think his mother would get more credit for that – carrying a baby over the pass was no picnic. He had 4 sisters and 3 brothers, 3 of whom were born in Atlin. His father Abraham Lincoln Parker moved the Golden North Hotel by horse and capstan in 1908 to its present location. 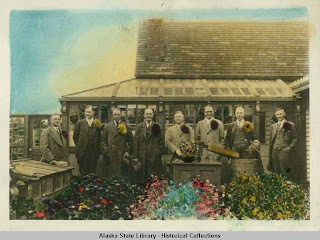 The Parker family moved to Juneau in 1913. The brothers Leslie and Charlie moved to Gustavus and had families there. Charlie wrote many letters and supported many causes for Gustavus. You can read them online at the Gustavus Historical site. This 1928 photo of homesteaders & brothers Leslie “Les” & Charles “Charlie” Parker in everyday Gustavus, Alaska “scruff” (working clothes & untrimmed beards). Seen in front of Charlie’s white painted house on east side Salmon River and south of Salmon River bridge along “Charlie’s River” (slough). Mr. Lilly had a grocery from the time he came in 1897 to 1900. He worked with his sister, Francis, and his brother, John at the Lilly Brothers hay feed and flour. By 1901 they had moved to the Yukon. James was also a lawyer. James was born in 1861 in Champaign Illinois, he died on this day, August 27, 1912 in Alaska. This Barley fond shows a skit with people holding banners of various businesses in town in April 1900. You can see the Lilly Brothers banner in the lower left. Major Kinney arrived on the Steamship Elder in 1897. He joined the Arctic Brotherhood and built a bridge over the Taiya River. He had the “Chilkoot Tramway Company” one of several companies that built tramways up the Chilkoot Trail. 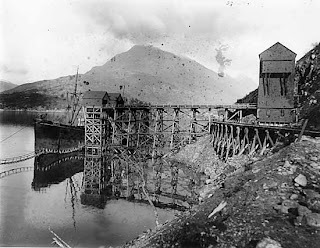 He later platted the little town of Atlin. Born on this day, August 26, 1855 in Jacksonville, New Brunswick, Canada he moved around quite a bit. After leaving Alaska he moved to North Bend Oregon. Sight unseen, Lorenzo singled out Coos Bay as a development plum ripe for the picking. Coos Bay was already a burgeoning seaport with lumber, shipbuilding and fishing as solid economic foundations. According to a posting on genforum, he was something of a rogue and spent time in the Oregon State Mental Hospital: Diagnosis: manic-depression. He died there of pneumonia on Aug. 9, 1920. The book “Instigator: The Troubled Life of Lorenzo Dow Kinney”, 2008, by Richard and Judith Wagner chronicles Kinney’s life. It reviews his beginning in New Brunswick his time in Virginia, Utah, Alaska, British Columbia and focuses on his years 1902-1914 on the Coos Bay in Oregon where he promoted railroads, streetcars and land. 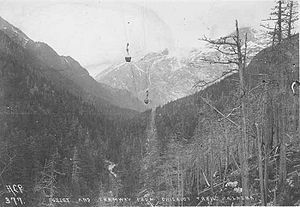 Picture above is of a Tram on the Chilkoot Trail, possibly his. 1900 census; National Park Service Dyea info; genforum Kinney family; Minter; Oregonlive article by John Terry from October 30, 2009. Barney was an unhappy man. He walked off the wharf on this day, August 25, 1901 and drowned in the bay. He was buried in the Gold Rush Cemetery and little is known of him other than he was about 38 years old. Henry Lightfoot was a lawyer, politician, jurist and Civil War vet. He was born in Lawrence County, Alabama, on December 29, 1846 and served in the Eleventh Alabama Cavalry during the Civil War. He graduated in 1869 from the law school of Cumberland University, Lebanon, Tennessee, and entered practice in Lawrence County, Tennessee. He moved to Texas in 1872, where he went into law partnership with General Sam Bell Maxey. Lightfoot became prominent in Texas politics and was elected to the state Senate in 1880 and resigned in 1882. In 1893 Lightfoot was appointed chief justice of the Court of Civil Appeals. In the 1894 election he was re-elected as chief justice of the Court of Appeals. He resigned in October 1897 and came to Skagway, Alaska, on legal business. 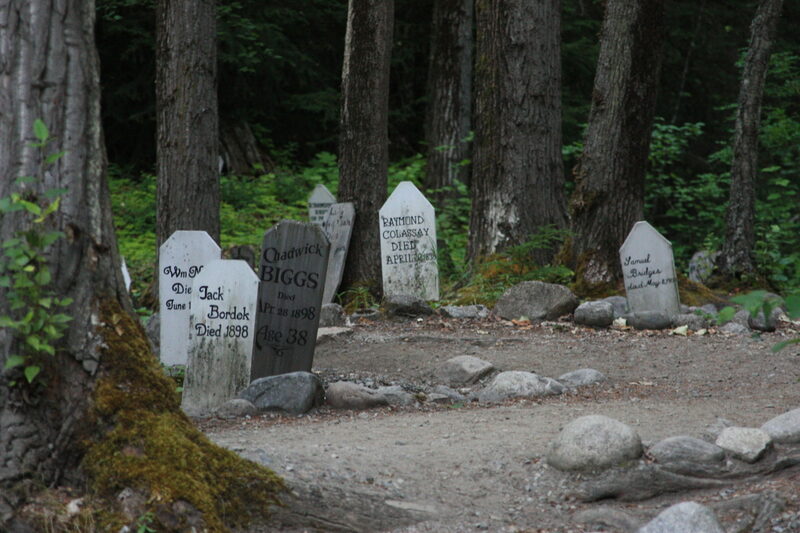 According to the Skagway death record, he died here of Bright’s Disease on this day, August 24, 1901. His body was shipped back to Texas. Historically, Bright’s disease is often a catch-all for kidney diseases, but strictly speaking is glomerulonephritis, which may be a complication of streptococcal sore throat. 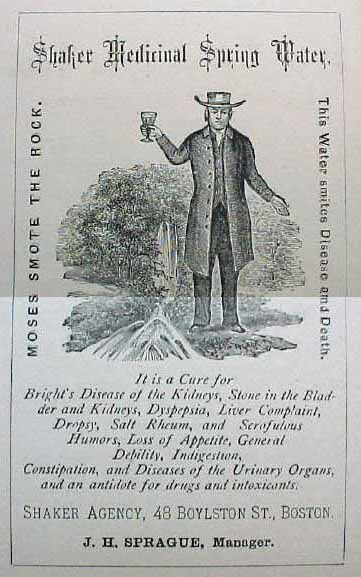 If only he had had some Shaker’s Medicinal Spring Water – a sure cure for Bright’s Disease! Happy Birthday to Donald Bishoprick born in Skagway on this day, August 20, 1907 to Arthur and Bertha. His dad Arthur came to Skagway in 1898 from Toronto and worked as a laborer. He met Bertha Goding and they married in 1903 here in Skagway. 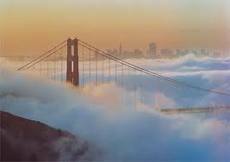 Donald eventually moved to San Jose where he married in 1949 and then lived in San Francisco where he died in 1980. So here is a very cute picture of a bulldog puppy which I would give to Donald on his birthday if he was around, which he isn’t. Too bad. So Happy Birthday to Victor Hahn born on this day, August 19, 1868 in Philadelphia, Pennsylvania to German parents. He arrived here in Skagway on May 5, 1898 and originally worked as a draftsman. 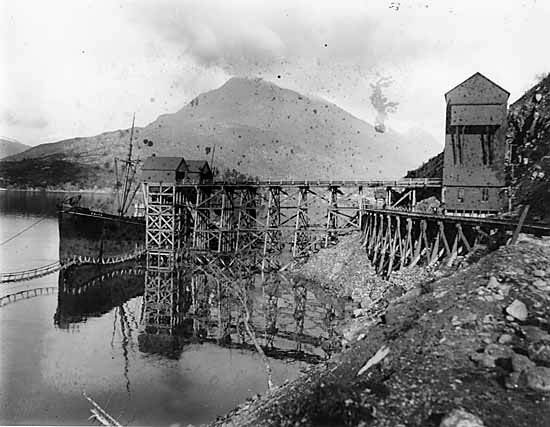 He succeeded Rogers as the Superintendent of the White Pass Railroad in 1906 and worked here until 1947. He must have been quite a politician to last that long as Superintendent! He died in 1958 in San Francisco at the age of 90. Left to right: A.F. 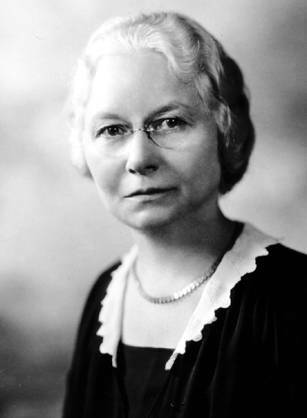 Swenbsen, friend of Secretary Jardine, Boise, Idaho. 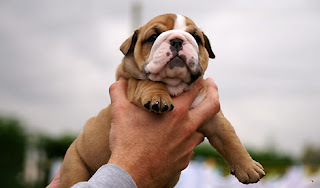 George A. Parks, Governor of Alaska. William DeWitt Mitchell, Solicitor General of the United States, Washington, D.C.
William Jardine, Secretary of Agriculture, Washington, D.C.
Henry O’Malley, U.S. Commissioner of Fisheries, Washington, D.C.
James T. Jardine, brother of the Secretary, Washington, D.C.
Charles H. Flory, U.S. Commissioner of Agriculture in Alaska, Juneau, Alaska. V.I. Hahn, Superintendent of the White Pass & Yukon Railroad, Skagway, Alaska. Check out those snappy boutonnieres, did they know it was almost V.I.’s birthday?! Very little is know of John Barring. The Skagway Death Record said he was about 35 years old and from San Francisco. He died on this day, August 18, 1900 and is buried in the Gold Rush Cemetery. 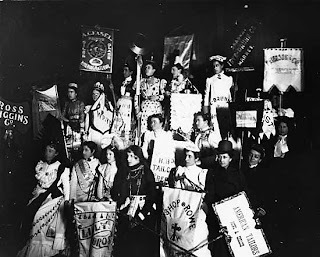 On that website there is a Bertha Barring (sister?) married in 1894, but unfortunately no mention of John. Another explanation for our lack of information is that sometimes headboards have been replaced and the faded names were abbreviated by time. Skagway Death Record; San Francisco Call; Familysearch.